Join your SA host Eliza Crockett as a volunteer with Hands on Greater Portland's Potluck in the Park program. 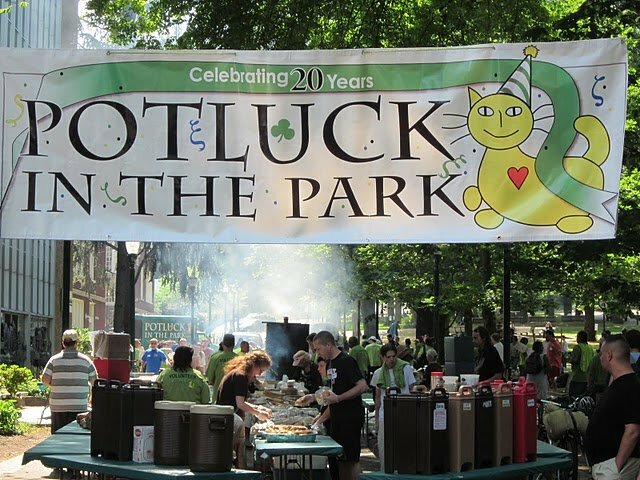 Every Sunday for 25 years, Potluck in the Park has been serving hot meals to the homeless in Bryant Park. There is no paid staff and all the food is donated. In addition to a meal the approximately 400 people who are served each week can take a grocery bag full of packaged food. You will be volunteering to be part of the Recycling and Clean-up Crew. PLEASE RSVP TO ELIZA BELOW so she can register you as part of the SA Crew.